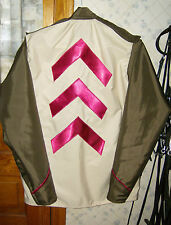 New ListingHORSE RACING JOCKEY SILKS-THIS DESIGN-YOUR COLOR CHOICE MOST COLORS AVAILABLE ! 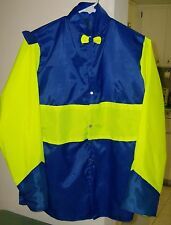 Authentic Jockey Racing Silks -your color choice. New ListingCopper Port Correction Long Swivel Shank Western Reining Saddleseat Horse Bit 5"
Copper bars on Western Reining Saddleseat High ported correction Horse Bit 5". Swept back shanks swivel shanks. Great condition see photos for measurements. Please ask if you have any additional questions! Copper curved / arched Mullen mouth Weymouth on Western Reining Saddleseat Horse Bit 4.5" ( May fit like 4.75“ with curved tongue relief) Swept back shanks swivel shanks. Great condition see photos for measurements. Please ask if you have any additional questions! New ListingStainless Steel Curved MULLEN Mouth Western Reining Saddleseat Horse Bit 5"
Stainless Steel Curved MULLEN Mouth Western Reining Saddleseat Horse Bit 5". Swept back shanks swivel shanks. Great condition see photos for measurements. Please ask if you have any additional questions! 5" Blue Steel Low Port Mouth Western Curb Horse Bit Silver Accents Show. Teardrop shaped ends See measurements and Condition in photos. 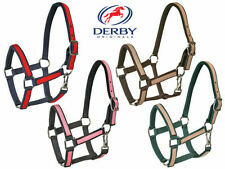 Beautiful bit that would make a great show bit or nice addition to your trail set. Low port for those with a fussy mouth. Please ask if you have any additional questions? 5” Copper Mouth Twisted Rope Decorative Shank Western Horse Show Curb Bit. This is a beautiful and unique copper lined ( twisted into the bar design) twisted stainless steel design. Great for a fun trail or unique Show set. See pictures for measurements and condition. Please ask if you have any questions! impact gel barrel or endurance pad. Condition is Used. Shipped with Flat Rate Freight. Tack Market. 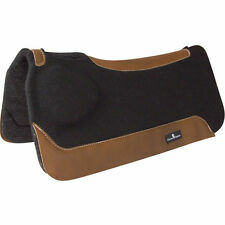 It conforms to the horses back while maintaining density, and provides shock absorption. 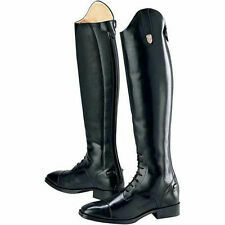 Tailored Sportsman Trophy Hunter Breeches Size 28R. Blueberry 1967 front zip, low rise. Condition is Pre-owned. Shipped with USPS Priority Mail. R.J. Classics Tan Breeches. Prestige Collection breeches are the perfect combination of classic styling and ultimate comfort. Quick dry, stretch fabric. The RJ Classics logo on the pocket completes the polished look. Material: Nara breeches are made from a four-way stretch, highly breathable, bonded microfibre fabric, with ribbed knit lower-leg cuffs and knee patches in eco-suede. Expertly cut and constructed. Fabric composition: 72% polyamide 28% elastane Inserts: 68% polyester 32% polyurethane Inserts: 95% polyester 5% elastane. It has a ported mouth with the copper inlays. This is a standard horse size bit. I can’t fix a problem if I’m not aware of it. Have fun on the trails and enjoy the ride! Tailored Sportsman Trophy Hunter Breeches Size 28L. Black and blue w tan 1963 front zip, mid rise. New without tags - never worn. Shipped with USPS Priority Mail. 5" mouth with 3.25" cheeks. 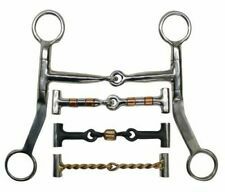 This is a top of the line quality standard horse size bit and one of the most widely used bits for all kinds of riding. Very easy on the horse's mouth. Nice gentle bit for English or Western riding. Made by Showman ® products. I can’t fix a problem if I’m not aware of it. Have fun on the trails and enjoy the ride! Heavy Duty Nylon Denier Farrier Apron with Real Suede leather knee pads. Knee pads are 11" x 13" and full padded. Color is Dark Brown. Thigh will adjust up to 28" around. 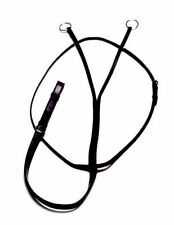 We are dedicated to bringing you the very best prices on Western and English bridles, bits, spurs, saddles, blankets and more. One picture shows how they stay-put with the short velcro tabs wrapped around the top of the ring edges. You can use them with or without those 2 small tabs. Color: Cream, Black, Buckskin, Chocolate Brown and Dark Olive Green. Wool OVERSIZED Saddle Blanket-CUSTOM. Therefore, we cannot write "gift" on the imported product(s). See below for the options available. Kerrits Breeches girls medium Purple/black Chevron Pattern Made in USA. 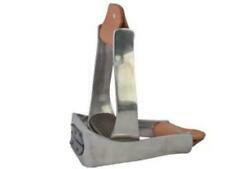 Skull Cowboy Boot Toe Tip, Casting Tool.